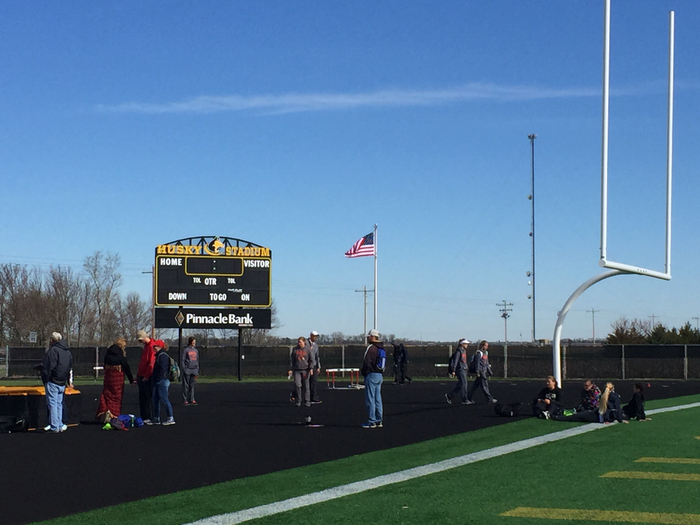 The Jr. High track meet scheduled for Thursday, April 11 has been moved to Wednesday, April 10. All bus routes will run the same as last week’s schedule. This will continue until further notice. The H.S. 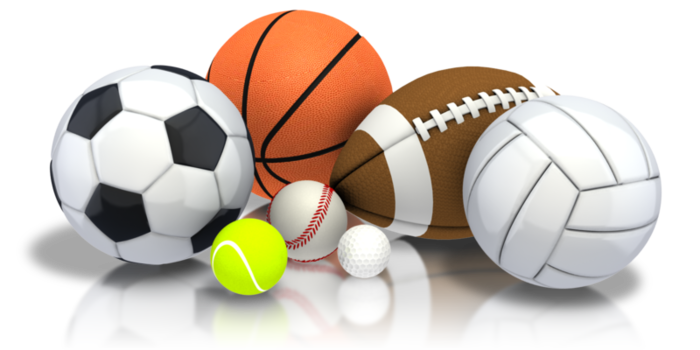 track meet scheduled for Wed., April 10 at Osceola has been moved up to Tuesday, April 9. 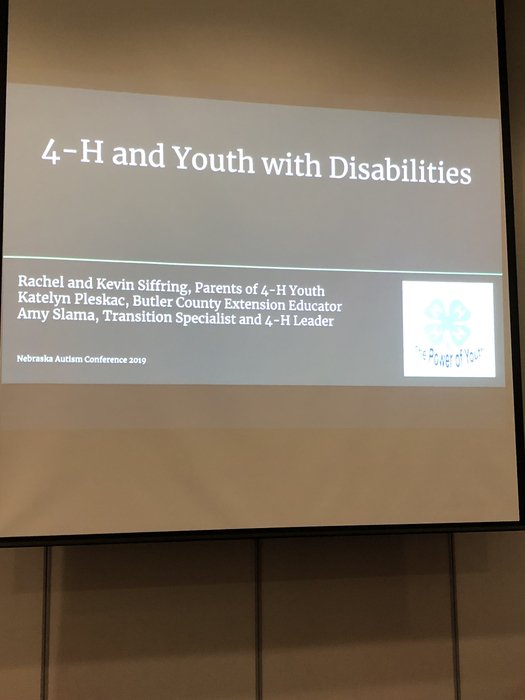 @srchuskies parents Kevin and Rachel Siffring presenting on the value of 4-H for Youth with Disabilities at the State Autism Conference in Kearney. Well done! 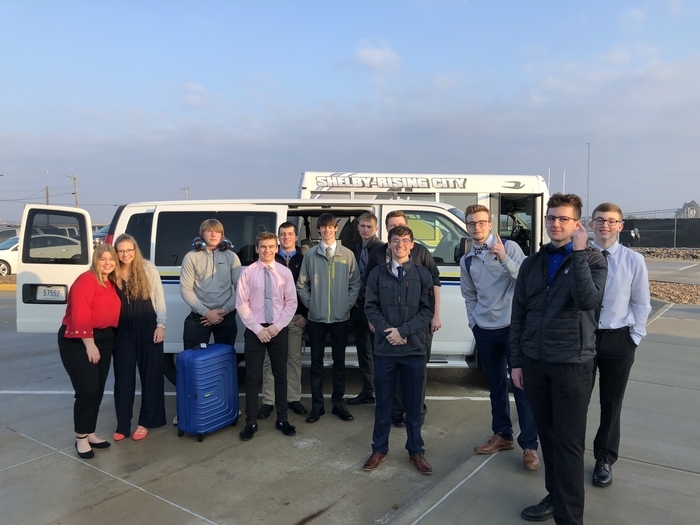 Good Luck @srchuskies FBLA at State! Congratulations to the Shelby - Rising City FFA Parliamentary Procedure Team for making State Finals! 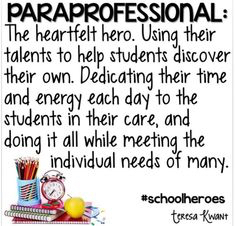 It is Para-Professional Recognition Day. We have some great ones and take time today to tell them Thank You for the great job they do and the difference they make! S-RC HS Boys Golf scheduled for Wed 4-3-19 at Friend has been cancelled. 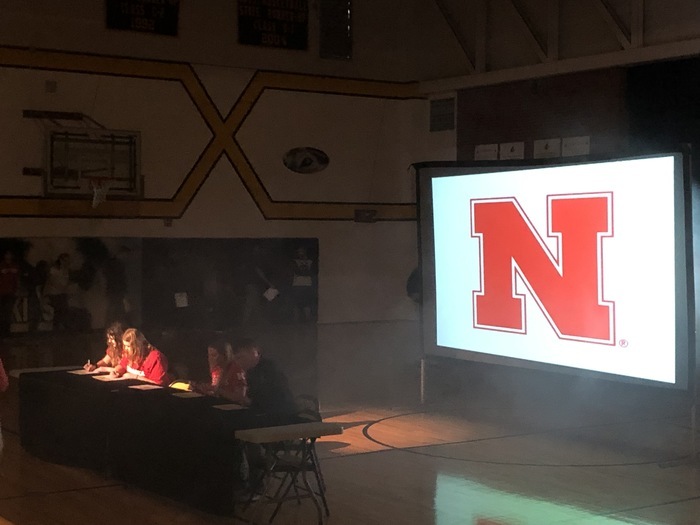 Congratulations to the 2018-19 Winter @NebChiro Academic All-State recipients from Shelby-Rising City Schools! 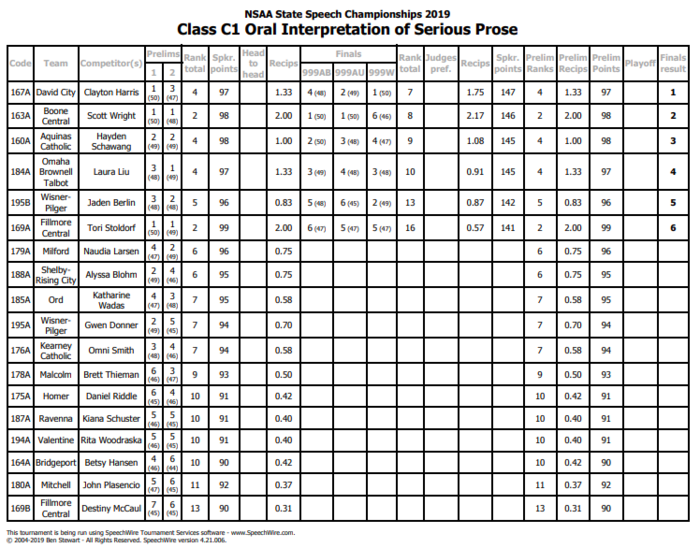 Reading Classics finished out our season by participating in the state competition! 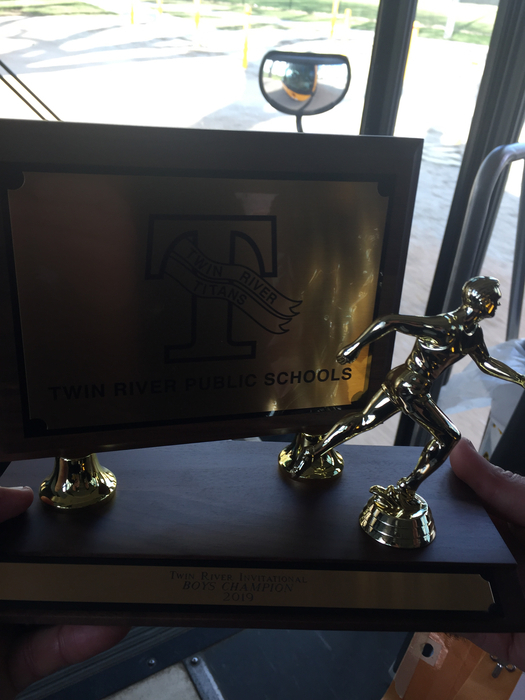 Great showing by the High School Track Teams at the Fullerton Invite - Boys 2nd and Girls 3rd. 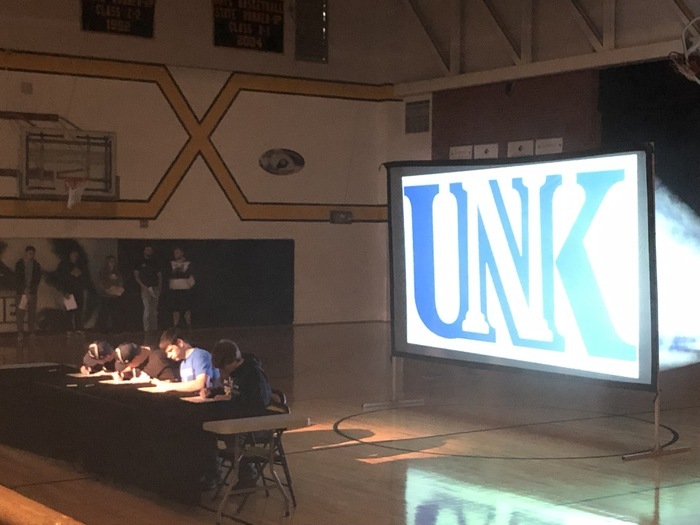 Husky Pride! Please visit the Shelby-Rising City School District website to see the updated Bus Route plans for the week of April 1st. The update is listed under the news articles. 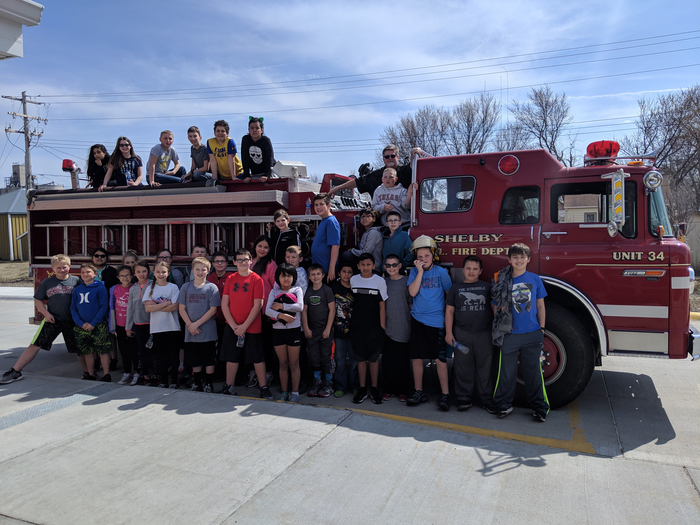 Fifth Graders learned about Fire Extinguishers from the Shelby Volunteer Fire Department. Thank You SVFD! Alternate bus routes and location pick up and drop offs will continue for the remainder of the week due to road conditions. A reminder - No PK-5 (Elementary) School for Students on Tuesday, April 2nd. 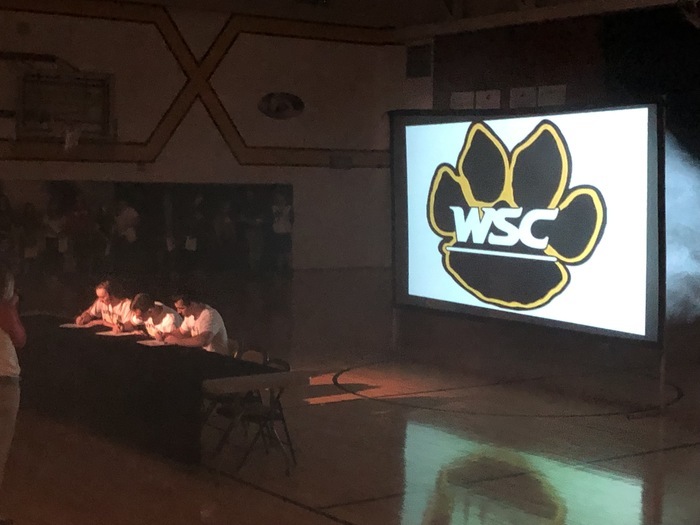 Congratulations to the Class of 2019 and we are honored to be able to recognize you on your post-secondary choices! 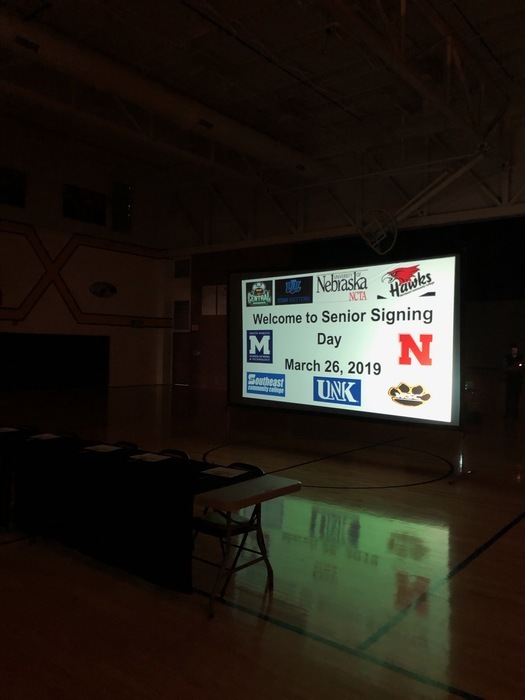 Here's a few pictures of todays "Senior Signing Day" event, there will be a comprehensive group of pictures coming in a few days with all students and schools. 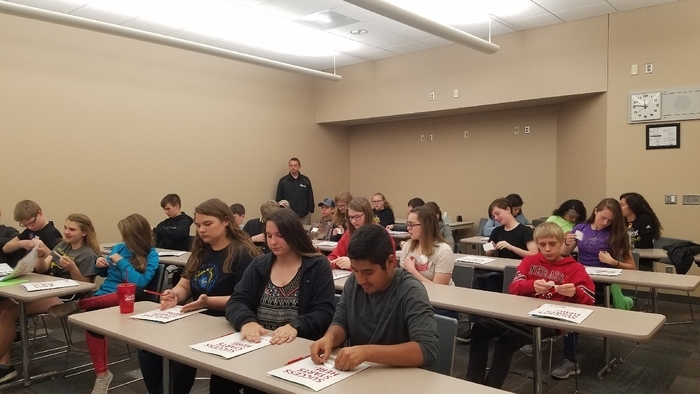 Session 1 of Transition to College series Tues., Mar. 26, 6:15-7:30 Junior Parents and students We will meet in Mr. Gabel's room. Varsity Track Meet at Osceola scheduled for Friday has been moved up one day to Thursday, March 28th at 9:00am. 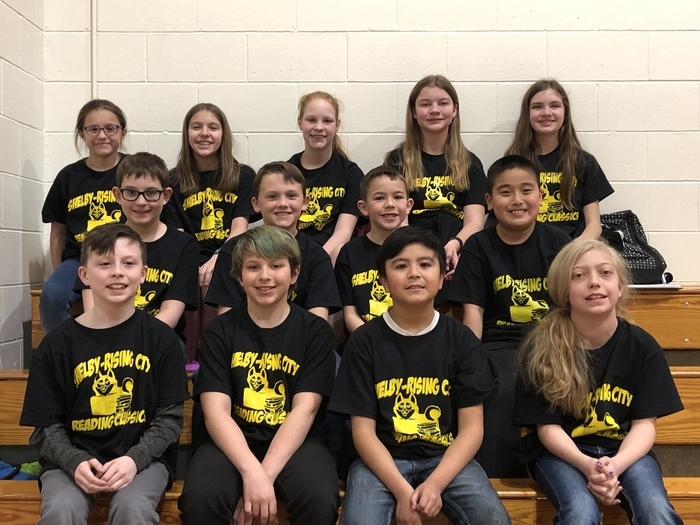 Shelby-Rising City Reading Classics team did a great job at their county competition! 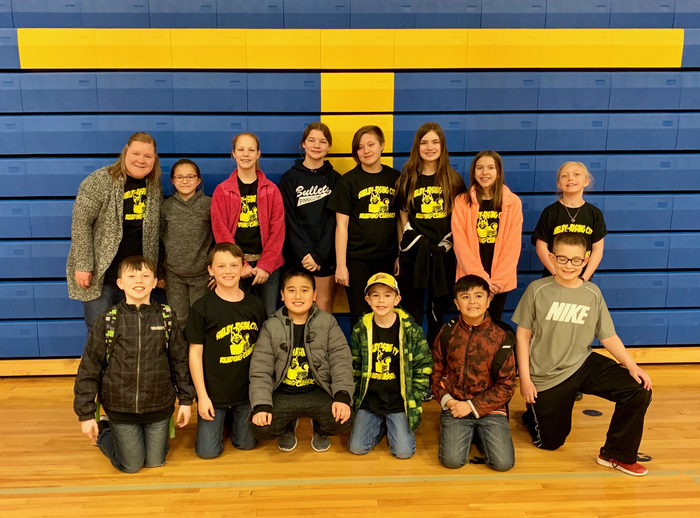 All teammates (grades 3-6) performed well, had fun, and represented S-RC wonderfully! 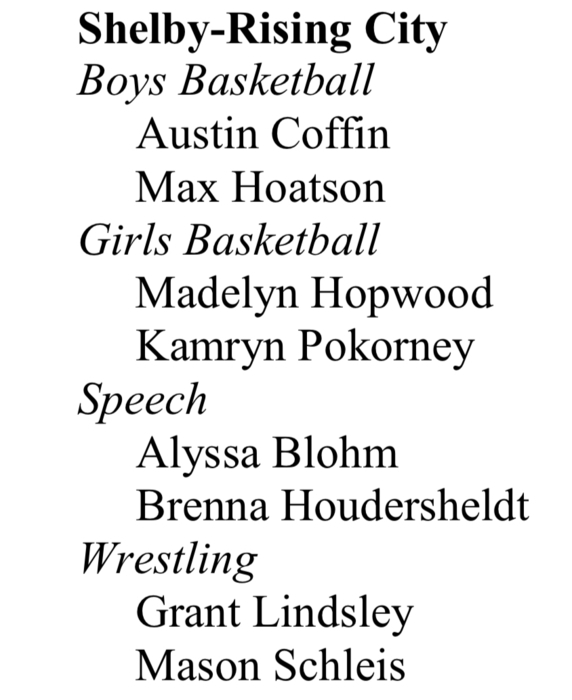 Congratulations to our Basketball All-State Honorable Mention selections from the Journal Star: Allie Neujahr, Kamryn Pokorney, Austin Coffin, Jett Pinneo, and Max Hoatson. Bus Update: Mr. Gray’s Route will pick-up and drop off Duncan students at Lone Star for the rest of the week. AM 7:00-7:10 and PM 4:20-4:30. All routes will be evaluated again on Sunday. Due to rain there will not be bus pick up in Duncan on Wednesday, the pickup will occur at Lone Star from 7:00-7:10. No other route changes are being made. 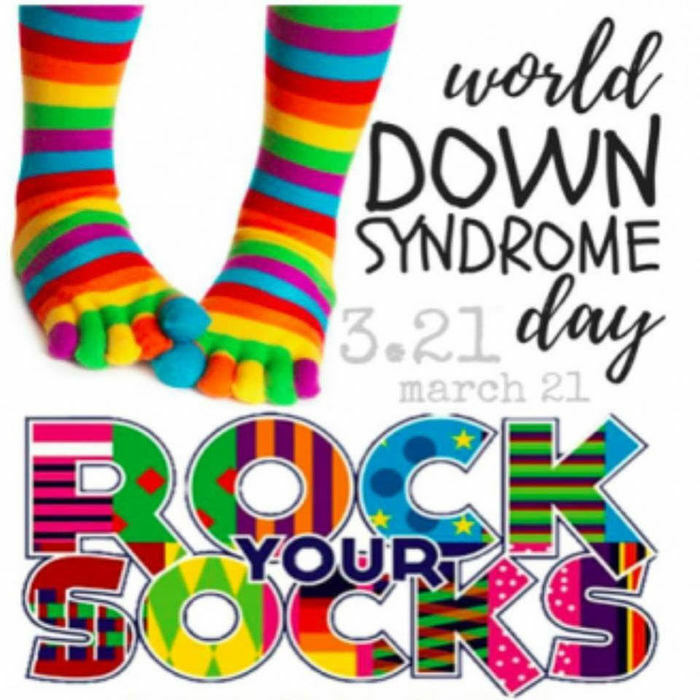 Wear your crazy socks on Thursday and support World Down Syndrome Day! March 19th - UPDATE Shelby-Rising City Schools will resume normal operations on Wednesday, March 20th. 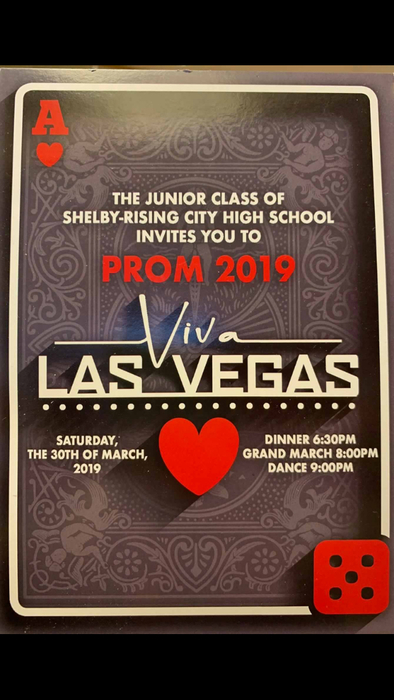 All students will attend school on the Shelby campus. There will be regular pick-up at Pawnee Park in Columbus. Routes for Tony Hernbloom (Dragon) and Susan Doehling (Cow) will stay with the location pickup and drop-off plans for the remainder of the week as was released on Sunday. We are monitoring road conditions near Duncan (Chicken Bus). We will drop off at AJ’s as planned tonight, but please pay attention to announcements that may come out this evening. 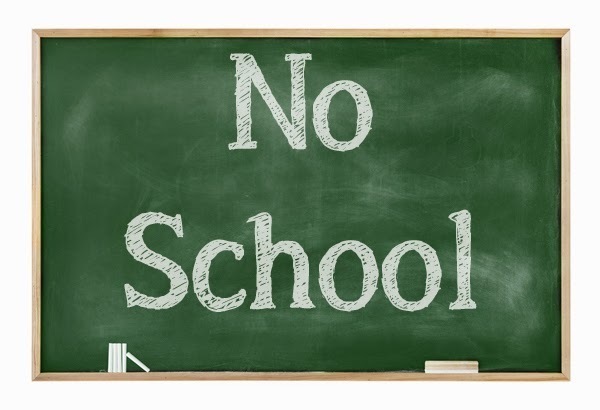 A reminder that Wednesday, March 20th is a full day of school, the early dismissal was cancelled. I want to encourage all parents/staff to download our mobile application. This is the best way for us to get detailed information out. We will be phasing out school messenger, so only parents or immediate guardians will be receiving phone messages when that happens. If you have extended family or others who need school information please have them download our school application in the Apple Store or the Google Play Store. If you don’t have a smart phone we will still send you text messages and phone calls if you are a parent or staff member. The new District website will be tied to the mobile application and will have the same information available. CRC Medalists include: Eli Noyd (bass) Alyssa Blohm (alto) Connor Morrison (percussion) CONGRATS!!! 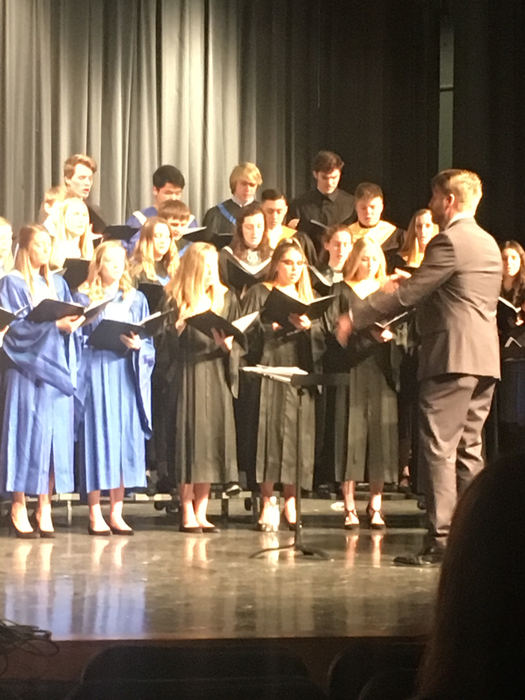 CRC Honor Band & Choir 2019. Pictured are a few of our many talented SRC students who earned a spot in this prestigious choir. 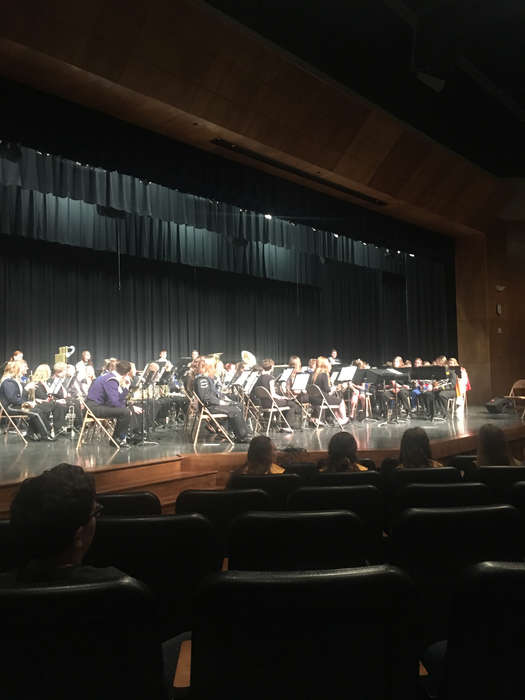 CRC Honor Band & Choir 2019 is about to get underway. The CRC has some very talented musicians. This will be a fun concert! Please read the statement for information on busing, attendance centers, and other adjustments due to road conditions at http://www.shelby.esu7.org/assets/marchplan.pdf or on our school facebook page and mobile application. The District will have several official briefings today and then hold an emergency planning meeting at 4:00pm today (Sunday) to discuss plans for the District moving forward. This only pertains to students/staff in Duncan and Columbus, however, the decisions will impact our entire school. All other areas of the District are safe for travel to/from school. There will be an official release of information this evening. Afternoon drop-off locations are being used again tonight. 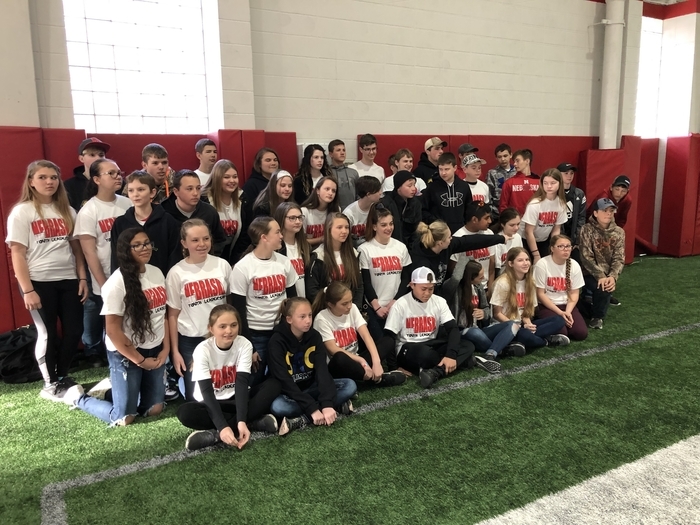 The chicken and horse buses are being combined, it will be at 7-Mile at 4:00 and Lone Star at 4:15; Tony Hernbloom Dragon Bus will be at Cornerstone Bank at 4:00 and will then drop off in Rising City; Susan Doehling Cow Bus will drop off in Shelby right after school and then to Cornerstone Bank in Rising City at 4:20. We will notify everyone on Sunday for plans next week. 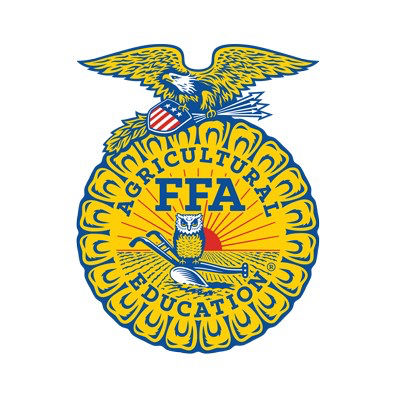 Tomorrow the SRC FFA Chapter will be hosting their annual Breakfast and Member Auction. Breakfast will begin at 8:30 with the auction starting at 9:15. There will also be many silent auction items! 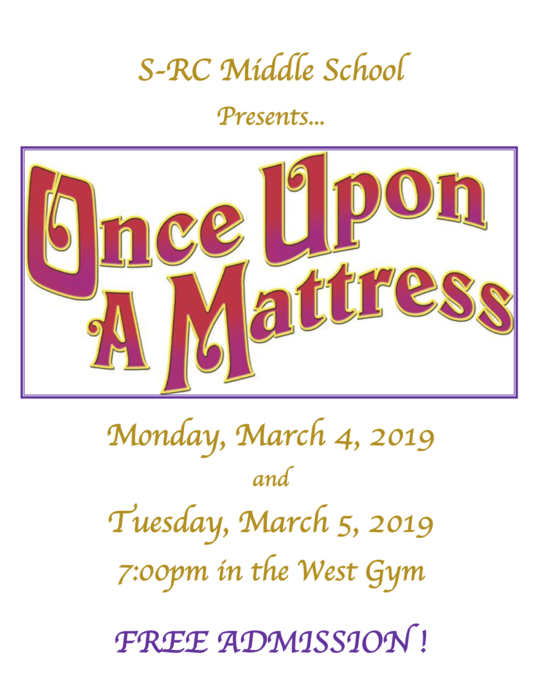 Please come out and support our FFA Chapter! I want to extend my heartfelt thoughts and concerns for those families impacted by the flooding in the area and recognize that we may have families who have much bigger priorities right now. Our District will have school on Friday, March 15th and we realize that many of you near Columbus and Duncan may not be able to attend. Please contact the school in the morning and notify them of the absence, this also allows us to check and be sure all of the families in our school are safe. We will run alternate bus routes due to the condition and uncertainty of the county roads. 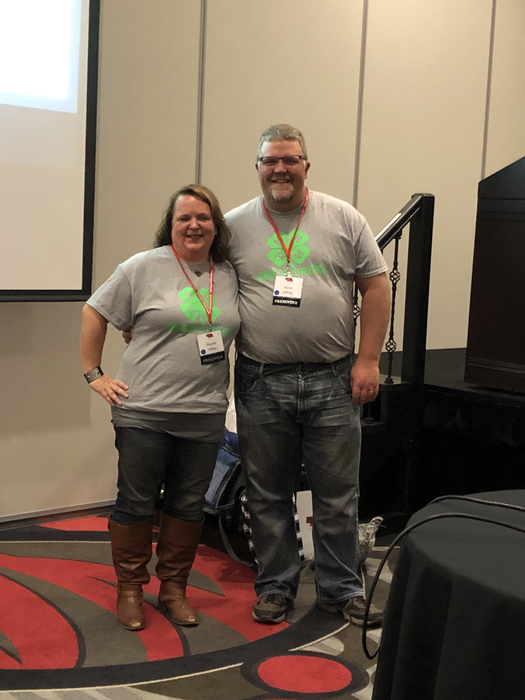 We are unable to run bus routes to Duncan or Columbus, here is the morning pick-up schedule: Darrol Gray (Chicken) - 7:25 to 7:30 Lone Star Jon Rasmussen (Horse) - 7:25 to 7:30 7-Mile Restaurant Tony Hernbloom (Dragon) - Regular Pickup Times in Rising City Plus extra pickup at Cornerstone Bank in Rising City from 7:25 to 7:30 for those coming in from out of town. Susan Doehling (Cow) - Cornerstone Bank in Rising City from 7:25 to 7:30 and then regular pickup times in Shelby. Drivers will wait as long as possible to ensure everyone is picked up. You may drive your students to school yourself or exercise the right to keep them home since some road conditions may not have improved as much as others. Absences are not waived and students should make arrangements to get work digitally if at all possible. 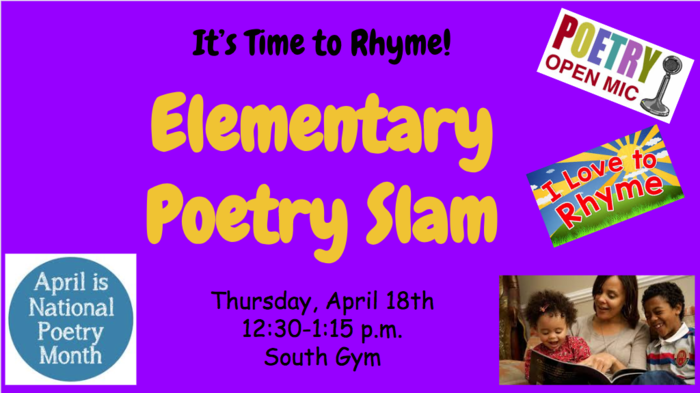 The after school schedule will be sent out during the day on Friday. Shelby-Rising City Schools will be closed on Thursday March 14th due to road conditions, flooding, and predicted weather. 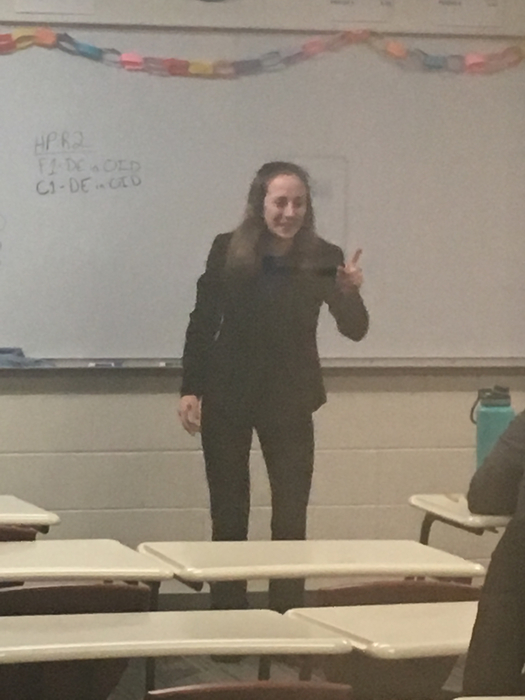 SRC Speech- NOW IN FINALS... 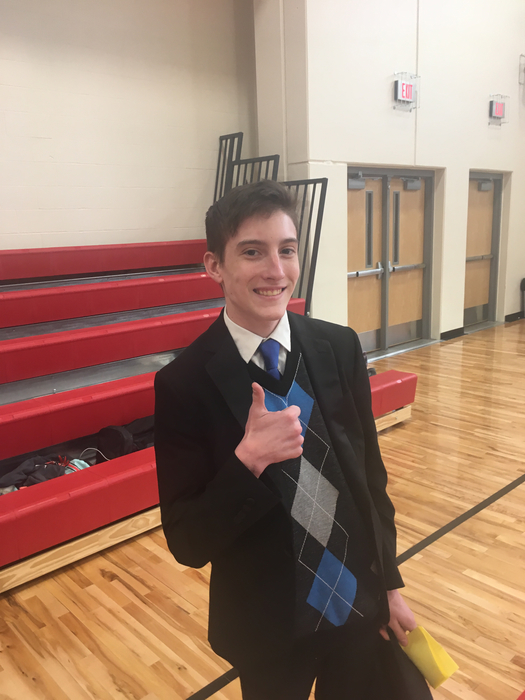 Duet Acting: Brenna & Garrett Humorous Prose: Connor Extempt: Bannor Serious Prose: Alyssa Good luck! 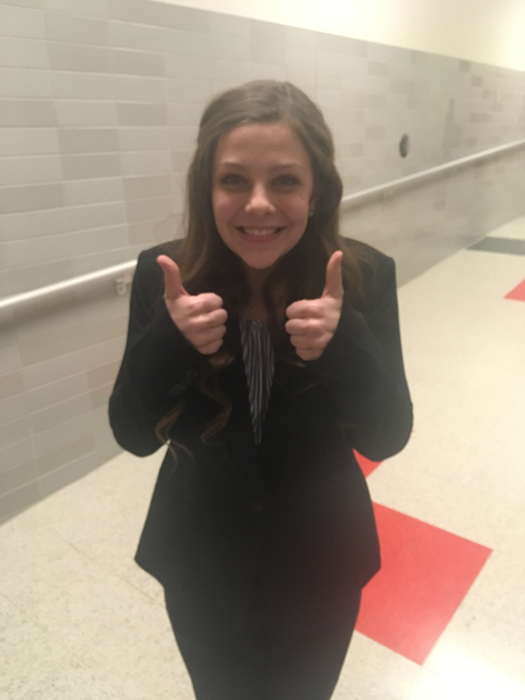 Alyssa makes Serious Prose finals! Two thumbs up! Who just made finals in Extempt? This guy!!! 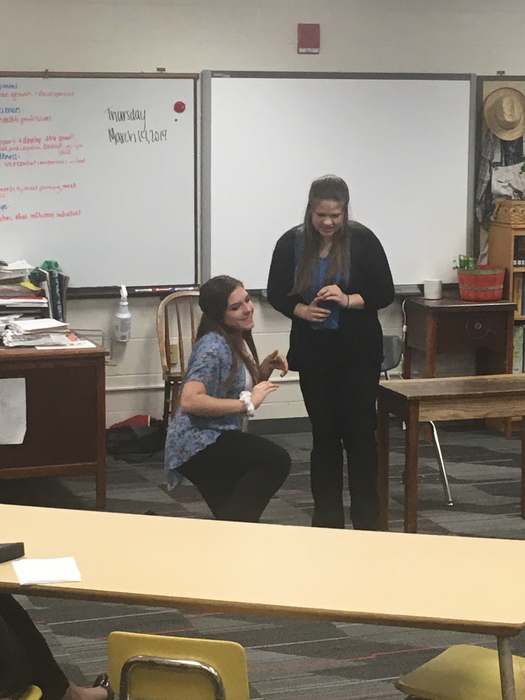 In Duet Acting, our fabulous freshman just gave an energetic performance that was fun to watch. Superb job Emily and Cassie! Haley delivers a very strong performance! WOW!!! Taylor’s humorous prose hits the mark. Bravo! 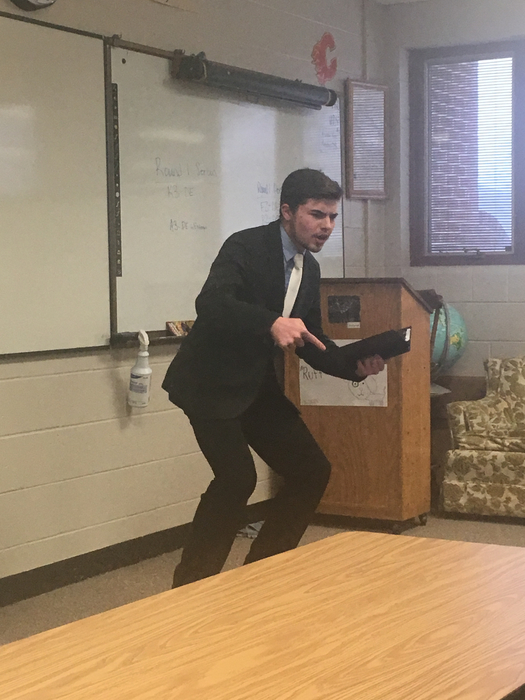 Garrett gives an impassioned oral interpretation of poetry. Nicely done senior! 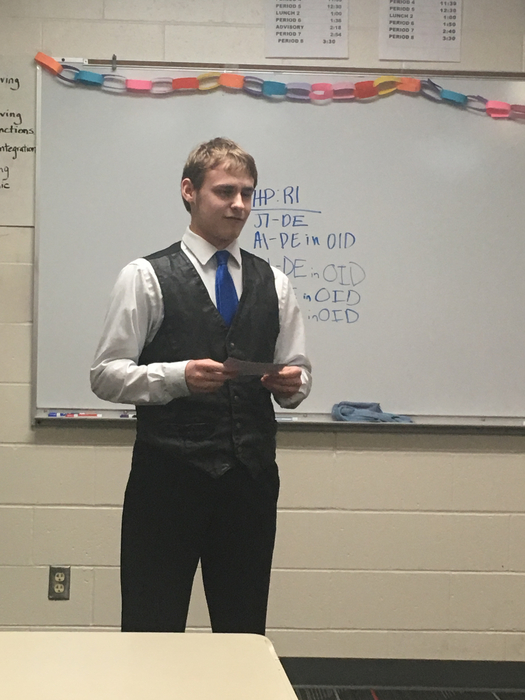 Extemporaneous Speaking is a challenging speech category. Fisher, a freshman, does a great job! Afternoon Drop Off Times by Bus/Location for March 13th due to weather we are not using county roads. Darrol (Chicken) Lone Star: 1:30-1:35 Duncan: 1:55-2:00, John (Horse) 7Mile: 1:25-1:30 Pawnee Park: 1:40-1:45, Tony (Dragon)Drop off Rising City kids 2.5 hours earlier Cornerstone: 1:35-1:40, Susan (Cow)Drop off Shelby kids2.5 hours earlier Cornerstone: 1:30-1:35---For questions please contact the school. 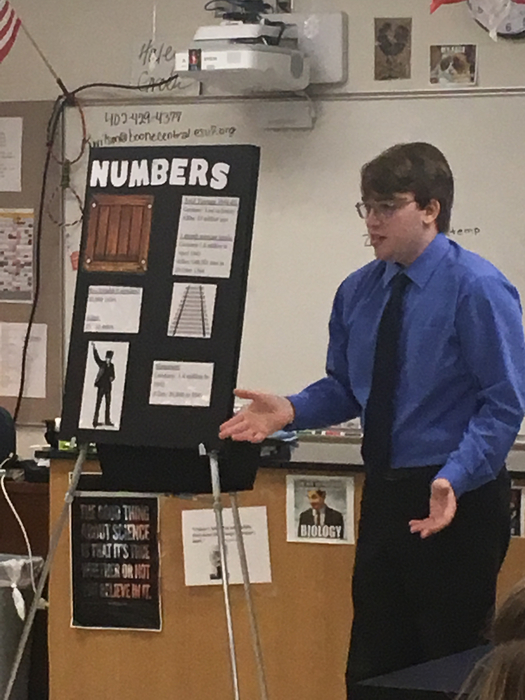 Alex is our lone entry in Informative Speaking. He speaks on a topic he knows a lot about... trains! It’s fun to watch Alex and listen to the inflection in his voice. I’ve been listening to Alex talk about trains way back to his days in elementary school. Alex, you did a great job! Shelby-Rising City Schools is dismissing at 1:00. Additional details coming on Bus Route information. No PM PreSchool or Activities. 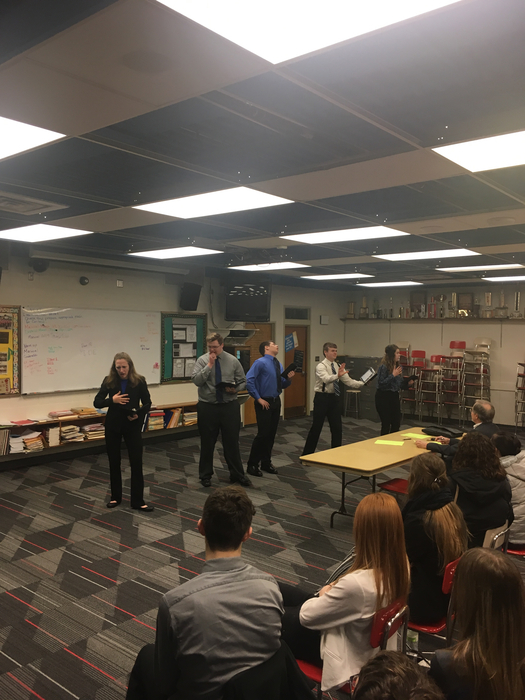 The OID team of Taylor, Brenna, Jaydon, Nicholas, & Connor is ROCKING IT! A well polished delivery. 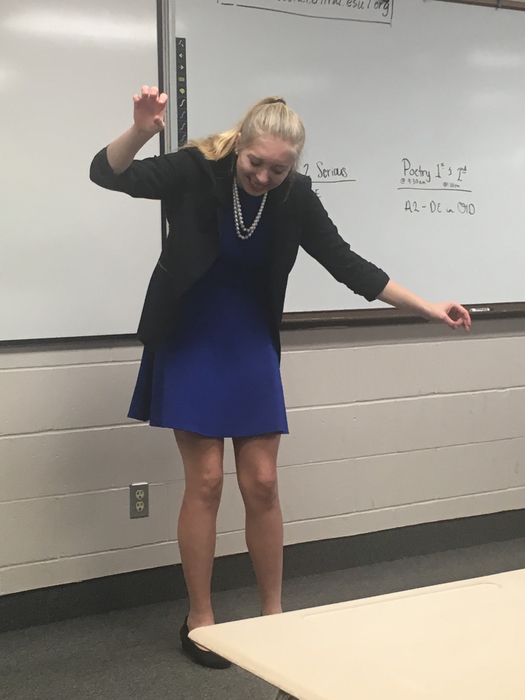 Watch for this one to break finals later today! Spring Sports Season is underway!